I am in no way affiliated with them, just love the way they are flexible and changeable to fit all my midyear re-organizations of how I do things. I linked you to one that would fit in your nifty arc binder system, but I buy the spiral bound one. Loose leaf also means all your extra helpful sheets can just go right in. Since it is not dated, during the summer I just use the monthly calendar and then during the school year go back to weekly pages. When you go to the link, click see larger and then look through each page. it's been an amazing find for me. I love my paper planner, but I have found a couple things work better digitally for me. One is my parent contact logs - that way I can sort by student and get a clear record for an individual OR I can sort everything by date to keep track chronologically. Another is sign in/ out logs (like you're mentioning for tutoring). I have a desktop computer in my room that just happens to live near the door. I put a desktop shortcut to a Google form that students fill out when they leave and enter the room to give me a record that is time and date stamped. Could work for tutoring as well. For mine, they enter their name and destination. Did you buy the hole puncher that matches the binder? It's pretty pricey on their website! Any Suggestions on how to get around that? I did. My husband and I both used it to make our own planners, so it's worth it for us. I also did a sign in/sign out log. I used a 2 pocket folder with tabs. Students signed in/out, and passes were placed int eh pocket. It lived by the door. I found that If I kept my parent contact log in a separate binder, I could have more pages for notes. I had a page I would use for conferences, as well as a page for telephone contact/email contact. Essentially, I used a 3 ring binder. I had the student information sheet (filled out in the beginning of the year) for each student, and placed behind it the different sheets. Using the ABC tabbed dividers helped to keep it organized. Now that I am teaching in Vietnam, parent contact is essentially limited to email, or parent conference day (with a translator present). I do not have as many parent contacts as I would like, because so many parents do not speak/understand English, and my Vietnamese is extremely limited. Every year I try to be more organized, and find a system that works for me. 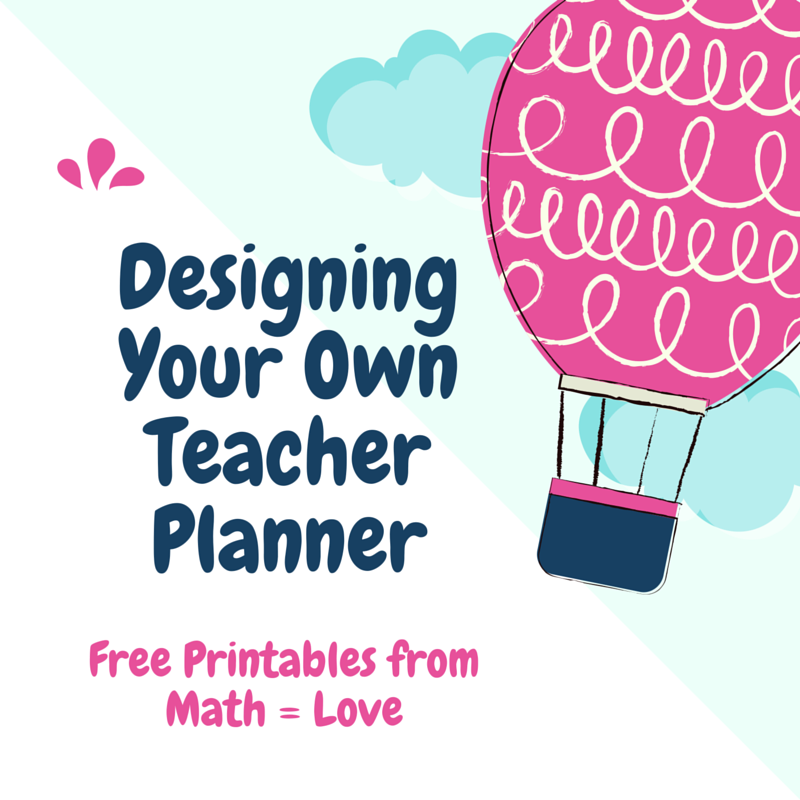 I use different binders or folders for different things, and a traditional lesson plan book. I started a regular planner the year I started teaching as the Birthday Book. I pass it around the classroom on one of the first days of each class and have each student sign their name on their birth date. So I have one book with every student I have ever taught in it. Students from previous semesters are the most surprised when I say happy birthday when I see them in the hallway. 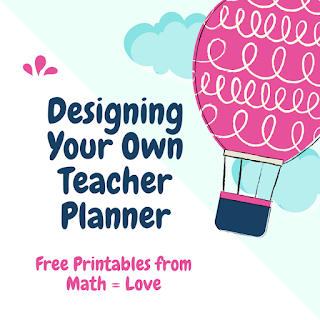 Because it was a real planner it does usually have the wrong day of the week, which causes some confusion when kids are signing it, but if you were making something you could just have the dates without days. I really enjoy looking back over the kids names each day and remembering all my previous students. I've made my own planner the last two years and used the arc system with it. I LOVE it. All the meeting notes are in one place and on pretty paper, all my observations, random committee info, and parent things/student passwords. Every meeting people ask me where I got it. Whenever I can't find something on my desk the kids remind me to check in my "notebook with the weird holes". What your kids call it is too funny! What do the actual planning pages look like? Funny that you should mention the arc system. I made my own planner last year but used the school planner cover which is so ugly. I wanted something nicer and was toying with trying this system. After reading your post, I went and bought it today! I decided to buy the clear notebook cover so I can change up my cover page and it will show through. I'm kinda wishing I'd bought the clear cover now so I could change it up with pretty scrapbook paper! I love my discbound planner......We found https://www.atoma.com.au/shop/index.php and they are great for covers and discs. Not sure on pricing internationally though. I also tend to print on heavier weight paper as I find if I use normal copy paper it wont last through the year.